Gloria is the founder of Events by Design, a luxury design firm specializing in couture invitations, classic floral design, and high-end wedding planning. Her first love is fulfilling the invitation suites – the first glimpse wedding guests have into the wedding that is to come. As a sought after and highly regarded planner, she has added her designing touch to every wedding she has planned. With the assistance of her husband Thomas, their goal is to deliver to all of their brides, grooms and parents, a top-notch client experience culminating in a Joyful Day. 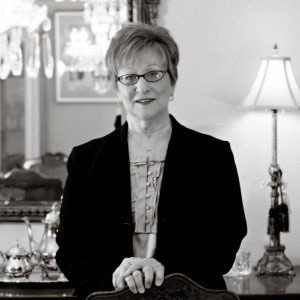 Gloria is a Master Wedding Planner™ member of the Association of Bridal Consultants (ABC). She served as the ABC Indiana State Coordinator for eight years and the National Director of Education for ABC. Gloria also earned Bachelor and Master Degrees in Biology and Education from Purdue University. As part of her efforts to share her knowledge and give back, Gloria led a team of Indiana planners to orchestrate the ABC Business of Brides Annual International Conference in Indianapolis, which is still getting rave reviews. Gloria served as technical editor for one book and one on-line course for wedding planning. She has written her own book for beginning wedding planners, which is used in courses at Indiana University, and she also rewrote ABC’s Professional Wedding Planning Program. Gloria is the lead coordinator at her church, Our Lady of Mt. Carmel for the Environment and Art ministry, and served for 8 years as the lead Wedding Hostess for the Wedding Ministry there.